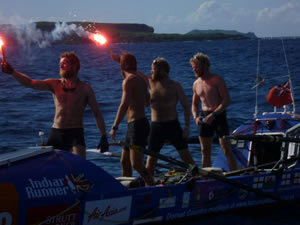 I’m so delighted with Sea Speed. She looks great. Even better we gained 1kt! Thanks for all your help. ln November 2016 we dry docked HSC Francisco to carry out scheduled maintenance and programmed repairs. 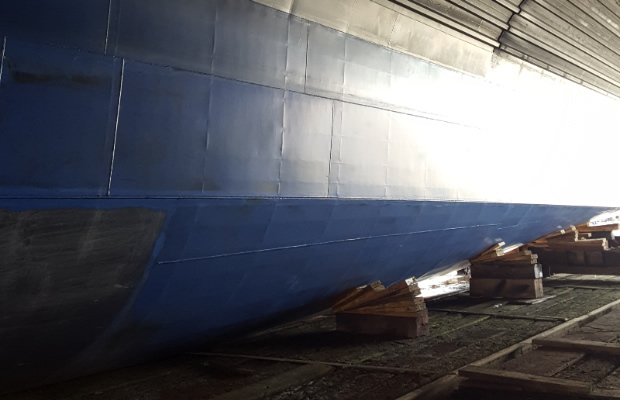 This was the first dry dock of the vessel after the starboard bow damage repairs we carried out in March 2014 shortly after the vessel started operations in the River Plate. During the 3 years of operation we did not notice any impact or decay in the ship’s performance. 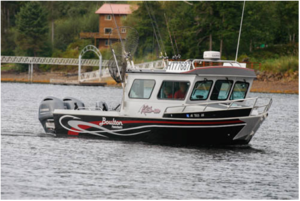 Both vessel speed vs turbine power and fuel consumption remained consistent from day one. 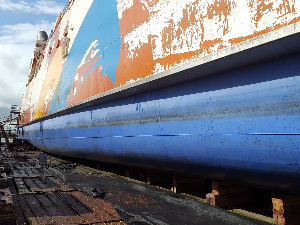 With the vessel in dry dock we could confirm that the underwater hull was in very good condition and did not need any repaint. 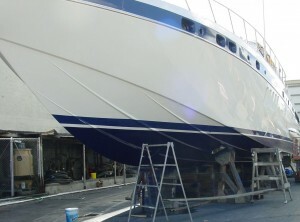 The surface of the paint was smooth and the coat thickness was satisfactory. 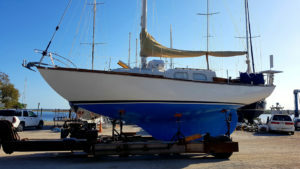 The performance of the underwater hull paint has been remarkable; since HSC Francisco started commercial service in the River Plate , sailing the 110 nm route between Buenos Aires and Montevideo twice a day, the vessel has accumulated a sailed dlstance of over 360.000 nm at a service speed of 50 kn . 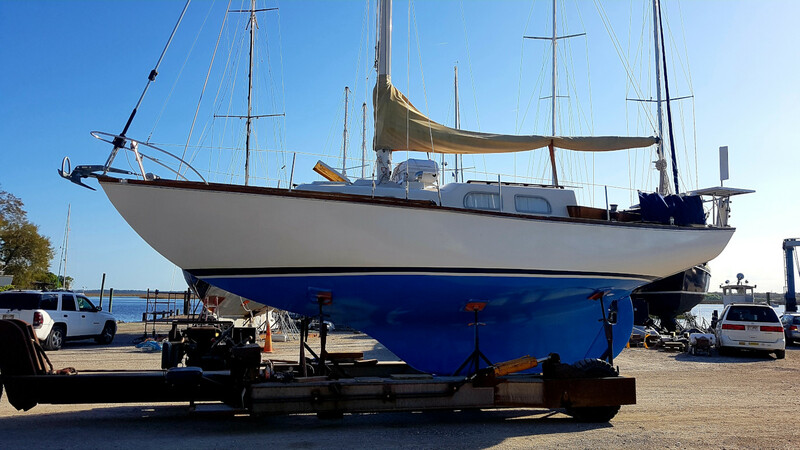 This is certainly a very good result for SeaCoat Speed-V and we expect that we will only have to do a re-paint in our next scheduled dry dock 2 years from now. ln the mean time, I will keep you informed of any occurrence or finding. “As a professional yacht captain in the mega yacht industry I am always looking for new and improved products to better serve the owner. I have found a remarkable new product with SEACOAT TECHNOLOGY, LLC. Their product “Sea Speed” has increased my top speed and cruising speed by almost 10% each, producing a fuel saving of 11.5%. This adds up to allot of money saved and in the long run, a major decrease in engine wear and tear. 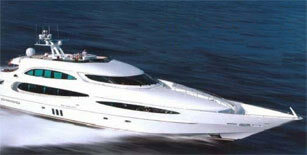 Not only does Sea – Speed produce amazing results, it is also completely safe and non toxic to the environment. With the I.M.O. (International Maritime Organization) cracking down on regular anti fouling paints and their environmental impact, Sea Speed paves the way of the future of bottom paints! 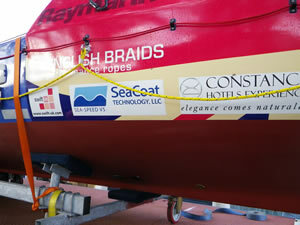 I would recommend SEACOAT TECHNOLOGY and SEA-SPEED to any one of my colleagues. 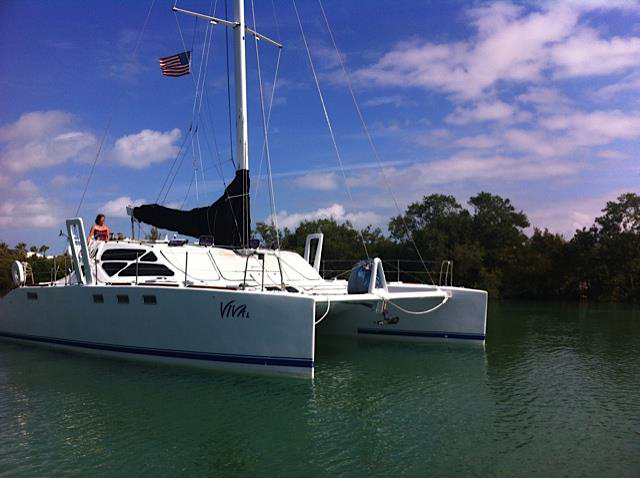 I sprayed my 40 cruising catamaran and my 11 feet rigid bottom inflatable with SeaSpeed back in august and launched both boats in September. 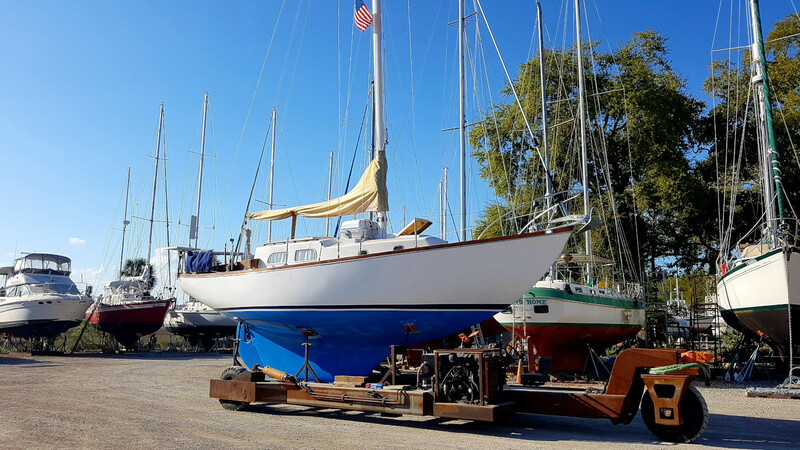 We have travelled from upstate New York to the Gulf Coast of Florida over the last six months. 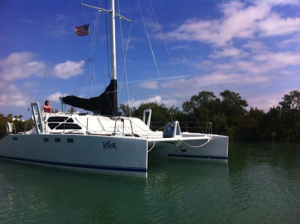 We scrubbed our catamaran’s bottoms twice during this period and found it very easy to maintain. The growth is easily removed with a sponge or brush. The product works great as a foul release coating without ablative or self polishing action or wear of the surface coating. The inflatable was never cleaned although it has been sitting in warm water for the past five weeks. 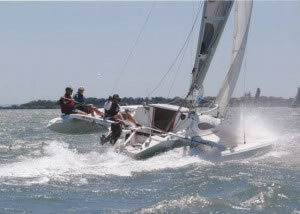 The anti fouling properties of the Sea-Speed are excellent when the boat can travel at higher speeds. This stuff is by far the easiest bottom paint to maintain. I have ever used, if it lasts as long as claimed it will also become the least expensive option out there. 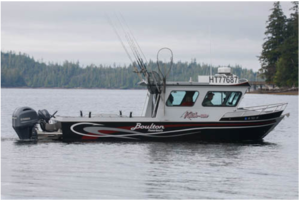 Our 26′ boat was built by Boulton last year & launched in Craig, AK in May for the 2014 fishing season. 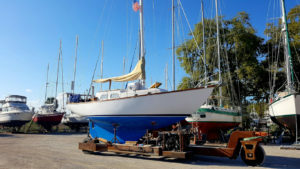 Used daily & left in the salt water your paint has performed great & held up well. 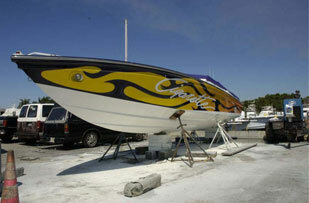 Our boat was the first time Boulton tried Seacoat paint & is now recommending it on every new boat. John, thanks again for the advice & sending the paint.